I never once sat in a classroom, I never once studied for midterms, I never rode on a school bus, there was no headmaster, no school nurse, and no bell that rang to let me know I was done learning. I was homeschooled. For 12 years of my life my mom was my teacher, my dad was my principal. My idea of a class was getting together with some friends and a teacher to study a topic. It was a blast. I loved every bit of it. There’s no doubt here that homeschooling is a great opportunity for grade school… but what comes after? That’s what I want to discuss. 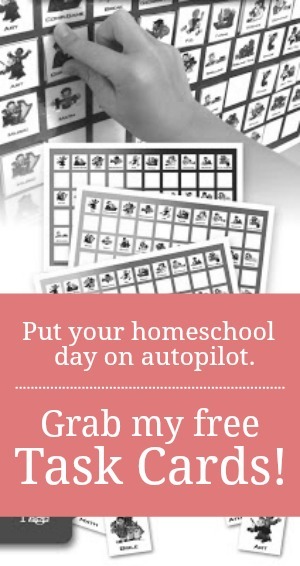 There are a lot of ways to homeschool. On one side of the spectrum, you have the people who homeschool with no structure whatsoever. They let their kids learn whatever they want, whenever they want. On the other side of the spectrum, you have the families who have a strict curriculum that must be completed. These are the homeschoolers that wake up at 7:00AM to do chores and start school by 8:00AM. My experience was somewhere in the middle. My family had structured lesson plans and curriculum that we were expected to complete. However, whenever valuable opportunities came up in the real world, my mom would put school on hold and let us participate. For example, I learned about profit/loss, customer service, and work ethic by running lemonade stands. I learned how to write reports and presentations by hosting large events and writing a professional business report. I learned history, economics, and writing by competing in forensics (which was, and still is, my passion). 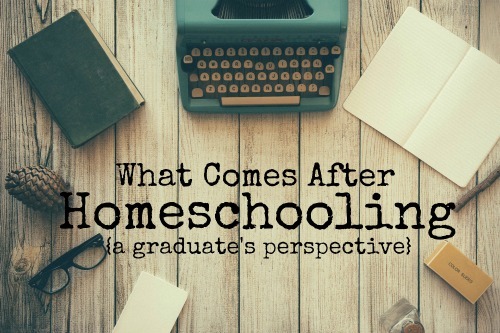 As a homeschooler, I was brought up doing things differently. I learned more through experiences than a classroom. My family encouraged those experiences. Ever since I was a little girl, I’ve enjoyed planning my career more than planning my wedding. I started touring colleges as a freshman in high school, applied to scholarships, talked with admissions counselors at top schools. Homeschooling was the perfect preparation for a college experience. It wasn’t until my Junior year that I realized this thought process was completely flawed. After 12 years of doing school differently, I was way too willing to jump on the bandwagon I had been avoiding my entire life. The more I thought about it, the less sense it made to go from experiential learning to sitting in classrooms for 4 years; forcing myself to put aside the projects I was already working on. Instead, I decided to stick with the path I had been on for the past 12 years. I joined an apprenticeship program called Praxis, which has provided me with real­ life opportunities to learn and grow as an adult and a business professional. Since being accepted to the program in February, I’ve been stretched and encouraged by an incredible group of entrepreneurs and professionals. The Praxis network has challenged me to expand my blog, create a personal brand, and create real value in my company. Since beginning the program back in September, I've been coached in personal development, entrepreneurship, and time/project management to help me launch my own business. College is an incredible experience for a lot of people. However, countless numbers of homeschoolers and public schoolers alike truly miss out on better opportunities just because they’re told college is the best option for them. So let me ask you this, should you always participate in a college education after homeschooling? I don’t think so. Before jumping on the bandwagon of post­ high school graduates headed to college, try evaluating all the options available. Here are a few questions you can ask yourself to find out if college really is the right choice for you! Am I okay with taking classes that don’t apply to my degree/passion/vision for life? As I was deciding which direction to go after high school, I asked myself every single one of these questions. Deciding to jump off the conveyor belt was not an easy decision. Going through and answering these questions took me months of thought and discussion. Take the time to think about this decision. It’s worth it. Once you understand yourself and your motives going into the next stage of your life, start researching. 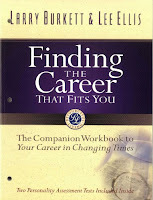 See what classes, groups, workshops, or even colleges line up with the vision/goals for your own life. Stick with homeschooling, it's the best thing you’ll ever do. I think I’m the best version of myself today because of homeschooling. I’ve learned time management, discipline, work ethic, scheduling and so much more. These skills will stick with me for the rest of my life. Homeschooling also gave me the courage to challenge the status quo. Homeschooling gave me the courage to pursue the life that philosopher Plato talks about in The Allegory of the Cave. Homeschooling is not easy… at all. Stick with it. You’ll be happy you did. Trust me. College may be the best option for you, but don’t assume that it is. Evaluate your options BEFORE making your decision. If college isn’t your best choice, have the courage to pursue something different, risky, and even scary to get where you want to go in life. Homeschoolers have an awesome opportunity. We are blessed with the ability to do things differently. Take advantage of that opportunity and share your story. Abbey is the COO of Ethos Debate. Ethos is dedicated to making people exceptional communicators through debate camps and private coaching. She leads day-to-day operations and is developing a new product line to train business professionals how to be better communicators. She is based in Austin, Texas. Following her passion for entrepreneurship, Abbey is participating in Praxis, an intensive apprenticeship program, where she’ll be focusing on gaining real-world experience and developing new business ventures. In her free time, Abbey blogs about entrepreneurship and living life on your own terms. Her #1 passion is to build relationships with aspiring entrepreneurs like herself who are looking for insight and direction on how awesome life can be after high school. Great post! Home schooled kids have as good chance of being accepted into colleges/universities as those who went through traditional schooling. Homeschool students gets more tome to experiment and try out things to figure out what is special about them. What is special about them is what will get them into college. Thank you! If you're interested in learning more about the alternatives or hearing some personal stories of my experience, I would love to chat with you. One of my passions is helping young people discover themselves and the path they're supposed to be on. Thanks for this. I've been really re-thinking college as the best next step for my kids. For some of them college will be the way to go, and for some of them it won't. I appreciate your perspective. I agree. It's has to be evaluated on a child-by-child basis. College will be a great fit for some. But, not for all. I was taught at home and I do not have a college education - but hard work and the ability to use your brain can take you anywhere. My homeschooled son is now attending college. It was a hard adjustment for him, but has been a good experience so far. 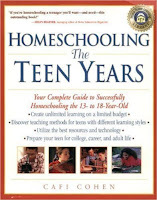 I see it as another aspect of homeschool, seeing what his public schooled peers were doing and are doing. It has caused him to study things he thought he wasn't interested in (general ed) and find out that he has talents he never knew about. It has broadened his view. I don't know if he will finish with a degree. He currently hopes to. It is definitely not for everyone, but looking at it now, it seems to be a good way to expand your views. My thought is that it is yet another good thing to try, even if it's only for a short time. Please explain "competing in forensics?" I competed in both speech and debate in high school. 7 years total. Would travel to three day tournaments across the nation to debate policy issues like election laws, criminal justice, Middle East, etc. Thank you so much for writing this! I have been homeschooled my whole life, and I've seen plenty of pieces written on transitioning from homeschool into college, but not many people who understand the value in not going to college. As someone nearing college-age, it's very encouraging for me to hear stories like yours. I'm still undecided about what I'll do after high school, but college isn't my default plan. I'm so glad this post was helpful to you. As a mother who home educates and disciples seven kids, this was so refreshing to read! You didn't feel compelled to go to college even though I am sure that is what the "outside" expected AND you didn't write a post about how your parents completely destroyed your life by home education! Thank you!